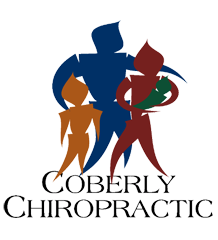 Why Water Is So Important to Obtaining a Healthy Spine – Coberly Chiropractic, Inc. There is no denying that water is an integral part of good health. Dehydration can cause problems with skin, digestion, and organ function. It can cause leg and foot cramps and impair cognitive processes. Staying well hydrated is vital to overall wellness. This is because water is part of every cell in the body. When we don’t drink enough water, the body suffers. Good spinal health begins with good hydration. The spine is constructed in such a way that dehydration can cause limited mobility, decreased flexibility, and pain. It can cause the spine to age faster than it should which impacts the entire body. As the natural functions begin to break down the body suffers. It isn’t long and depression and anxiety often set in. The spine depends heavily on hydration. The spine of made up of vertebrae, a row of bones that sit on top of each other, connected by small joints. A disc sits between each vertebra, cushioning it and acting as a shock absorber. It allows the spine to flex, bend, and move about without the bones rubbing together. Each disc has a fluid center (nucleus pulposis) that is surrounded by a flexible, tough ring. The ring contains a gel like substance while the center of the disc is comprised of water. The outer ring protects the center and the center protects the vertebrae, acting as a cushion for the bones. If the fluid center does not have adequate water, it cannot do its job and the spine begins to experience problems. Aging makes it more difficult for the discs to rehydrate and a sedentary lifestyle also complicates the process. It simply cannot work without proper hydration. A healthy spine starts with proper hydration. From the time you get up in the morning you are putting pressure on your spine and subsequently, the discs that lie between each vertebra. As you move the discs are compressed by the spine and the water that is inside is squeezed out. Even upright activities like standing, sitting, or walking can cause pressure on the discs as gravity causes compression in the spine. When the discs do not have enough water it results in limited mobility, pain, and an increased risk of back injury. If you don’t drink enough water, your body becomes dehydrated and is unable to replenish the water that the discs so desperately need. You may not even notice the typical signs of dehydrations such as headache and lethargy, but even lower levels of dehydration can cause serious problems in the body, especially if it is prolonged. 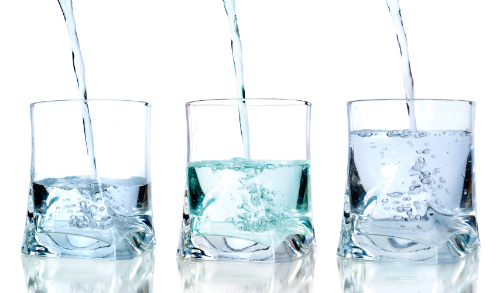 Soda and similar beverages do not provide adequate water to the body. Water is the best way to hydrate the body, but it isn’t the only way. Foods like watermelon, lettuce, spinach, and soups are great sources of hydration. Water, of course, is the best way, but herbal teas are also good. Drinks with caffeine are not as effective since the caffeine can have a diuretic effect. Traditionally, people have been told to drink 8 glasses of water a day and that is good advice. However, studies indicate that proper hydration can occur with an intake of just 30 to 50 ounces of water a day. If you have constant or frequent back pain the answer could be as close as your kitchen faucet. Dehydration could be the source of your back pain and immobility. Water also affects the way the cerebrospinal fluid works and moves in the body. When the body is dehydrated it doesn’t move as it should and brain function, reflexes, and cognitive processing could be impacted. Don’t chance it. If your problems are caused by something as simple as not drinking enough water, that is something you can change today. Drink up! Your body will thank you.